Laelia jongheana #2491 outcross ('Elena' x 'Hiromi' SM/JOGA) (approximately 25 seedlings per flask). 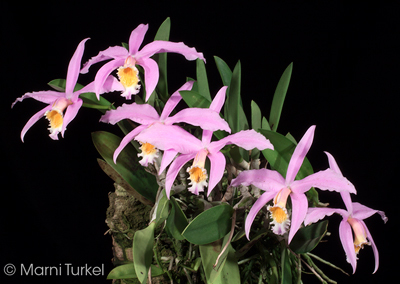 The Species: This compact species is from Minas Gerais, Brazil where it is found between 4600 and 5300 ft elevations. A mature specimen sized plant will have growth in the 6 to 9" tall range with very short rhizomes. 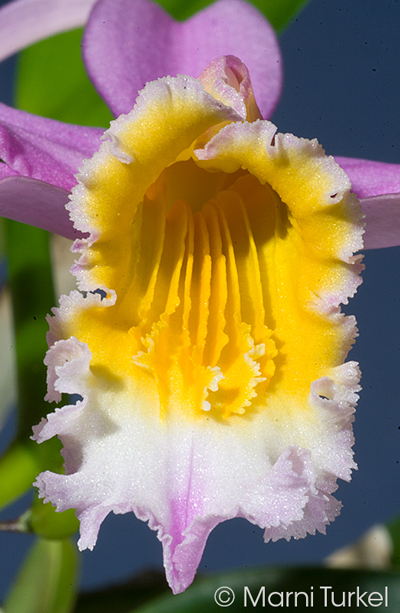 The capsule parent is Laelia jongheana ‘Elena’, shown below. The flower of this clone is over 6” wide. The pollen parent is an awarded clone from Japan, L. jongheana 'Hiromi' SM/JOGA. I do not have an image of this clone, but it can be seen by clicking here.